The Industrial and Systems Engineering (ISE) Department at Rensselaer focuses its research on applying the core disciplinary strengths of Industrial and Systems Engineering to both traditional and interdisciplinary applications. 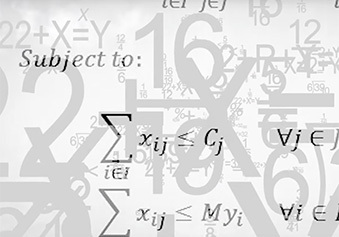 In general, ISE involves the application of mathematical, computational, statistical and information science methods to model, analyze, and solve complex decision problems in engineering, business, and social systems. It is distinctive from management and economics in the use of an engineering approach to design and analyze enterprise processes to optimize system-level performance. It is distinctive from computer science in its focus on the design of data and knowledge systems as the organizational nerve center where operations and enterprise systems are integrated. In recent years, the two signature themes of Disaster Response and Adaptive Supply Chains have been a part of multiple faculty members' research activities. Our research in disaster response has been funded through the National Science Foundation and the Department of Homeland Security. Our research in adaptive supply chains has bend funded through the National Science Foundation, Office of Naval Research, and industry. Our faculty apply a variety of ISE tools to these critical application areas including, but not limited to, optimization, simulation, applied statistics, human factors and cognitive engineering. An overview of each of these areas is provided below and you can follow the links to access discussions on some example projects within each of these themes. The research theme of disaster response focus on applying ISE tools to help better prepare for, respond to, and recover from significant disruptive events that impact the critical infrastructure and supply chain networks which form the backbone of today's society. Our faculty are creating new computational models and analytical tools that allow decision-makers to gain new insights into how to make society more resilient to potentially catastrophic events. The research theme of adaptive supply chains focuses on the logistics of efficiently deploying finite resources to assemble, transport, sustain and distribute people and goods, thereby facilitating the fulfillment of demand associated with economic commerce, national defense, disaster response, and/or humanitarian aid. Traditional approaches are insufficient to model current and next-generation supply chains where criteria related to risk management, information visibility, and resilience are emerging as critical factors in evaluating planning decisions. Research in personalized health uses systems and control, and computational intelligence tools for the understanding, monitoring and treatment of neurological diseases, tracking and optimizing lighting for circadian rhythm and sleep regulation, and computer-aided drug design. The use of low-cost wearable sensors with advanced signal processing and modeling allows personalized monitor and mediation of health conditions.